Photographing wildlife takes a special combination of patience and talent. Birds make the task even more difficult, since they are experts at flying away and disappearing into tall trees. 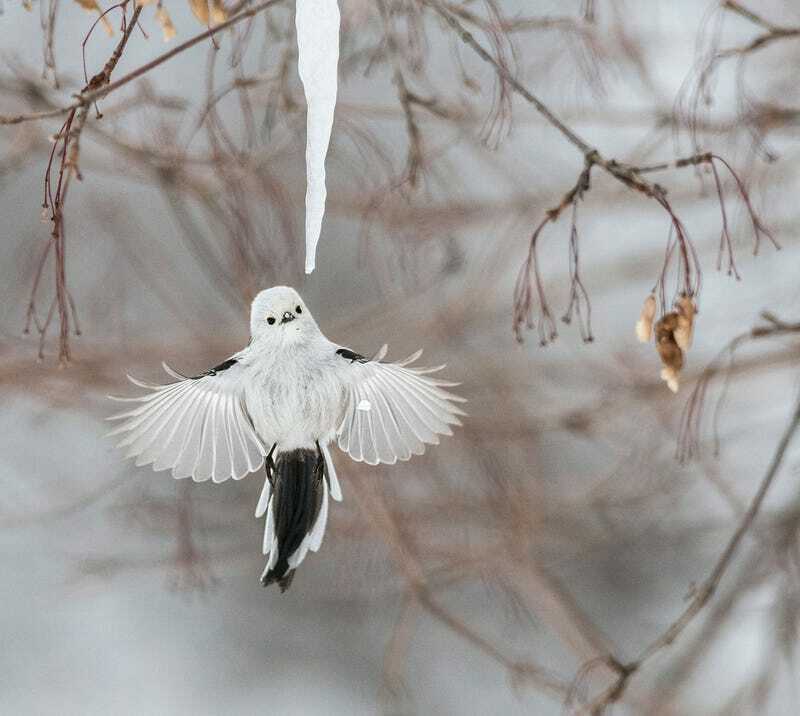 Today, the National Audubon Society announced the winners of its ninth-annual Audubon Photography Awards. The judges selected the winners from more than 8,000 entries, which came from all 50 states, Washington, D.C., and 10 Canadian provinces. Each photo was judged based on “technical quality, originality, and artistic merit,” according to the Audubon website. The winners and honourable mentions in the Professional, Amateur, and Youth categories are below. Note that some of these birds are actually pretty common! Keep your eyes open, and you might start seeing some of them in your own neighbourhood. Steve Mattheis took this photo in Teton County, Wyoming. 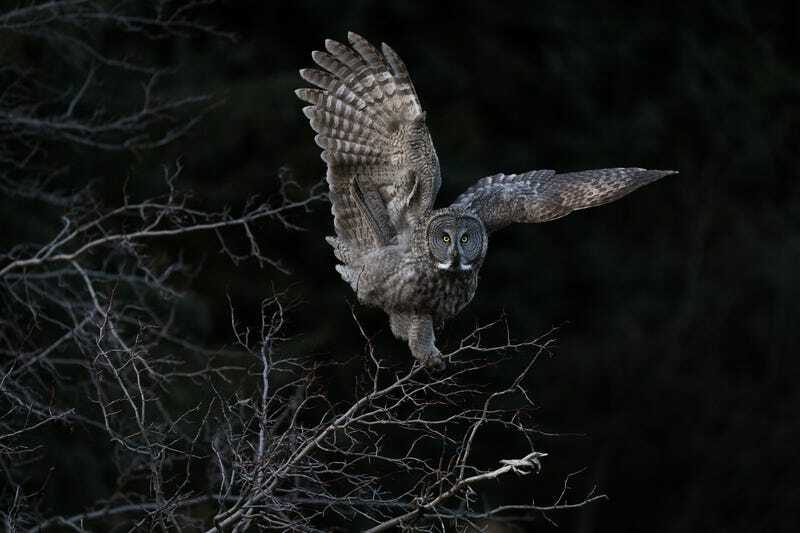 The great grey owl might look huge—it does have the longest wingspan of any North American owl—but the bird is mostly feathers and weighs only two or three pounds, according to the Nature Conservancy. 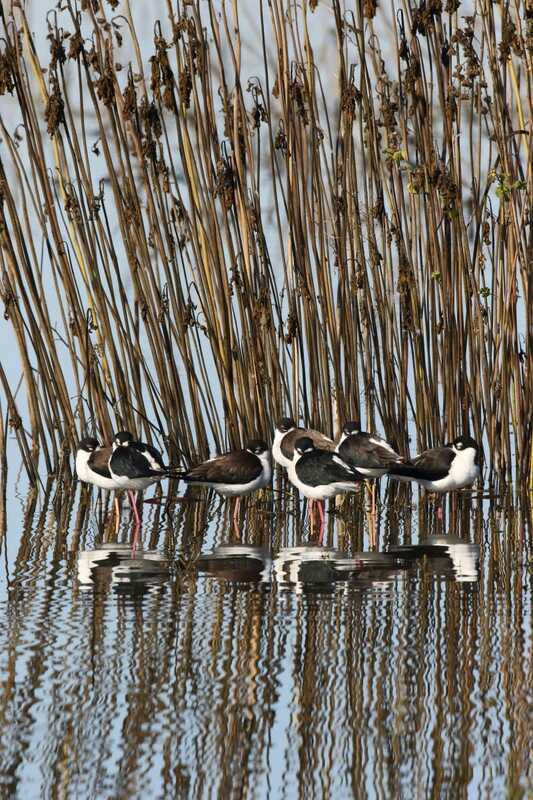 This long-legged bird has no trouble moving into human-influenced habitats like sewage ponds. It prefers wide-open places with shallow water and little vegetation, according to the Audubon guide. When they’re threatened by predators, some adults will fly away and put on a show as a distraction to protect the colony. These birds are widespread in Europe and Asia, and their numbers seem to be increasing. They are cooperative breeders, reports The Guardian, meaning that the young help the adults raise the babies. These small parrots are common to South America. 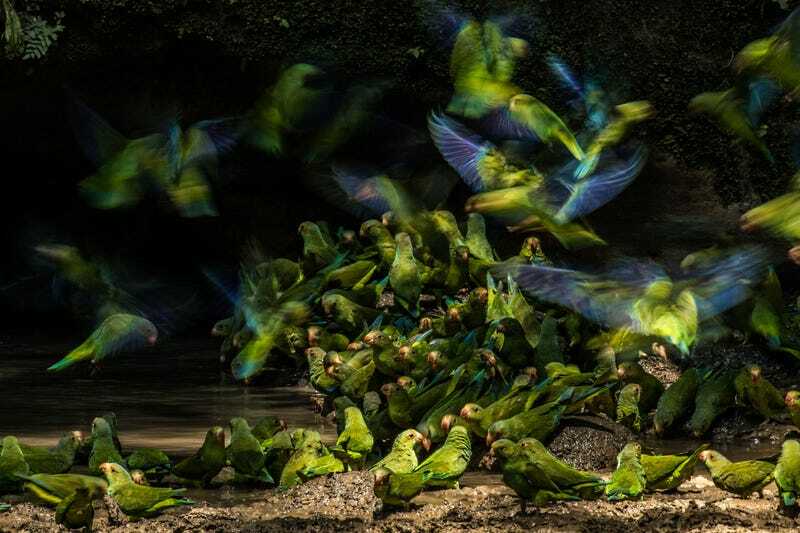 They’re one of many species of parrot that flock to “clay licks,” according to the World Parrot Trust—walls of clay that parrots eat, perhaps to make up for mineral deficiencies in their diets. You’ve probably seen this bird on a trip past a marsh or swamp, or heard its strange, grating call. 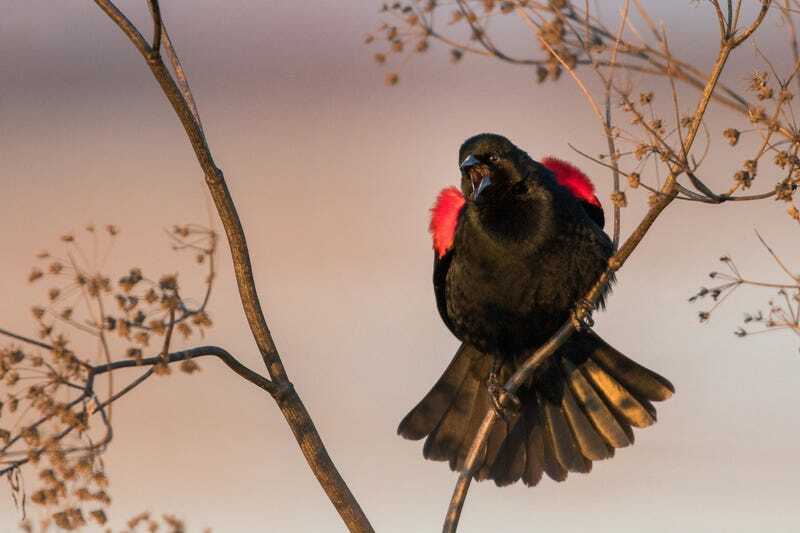 Males show off their feathers to protect their territory and attract a mate, and they’re not afraid to attack larger birds, according to the Audubon guide. One time I used by iPhone to play a female red-winged blackbird call while sitting at the National Garden in D.C., and a male flew out of nowhere and stood next to me to show off his stuff. 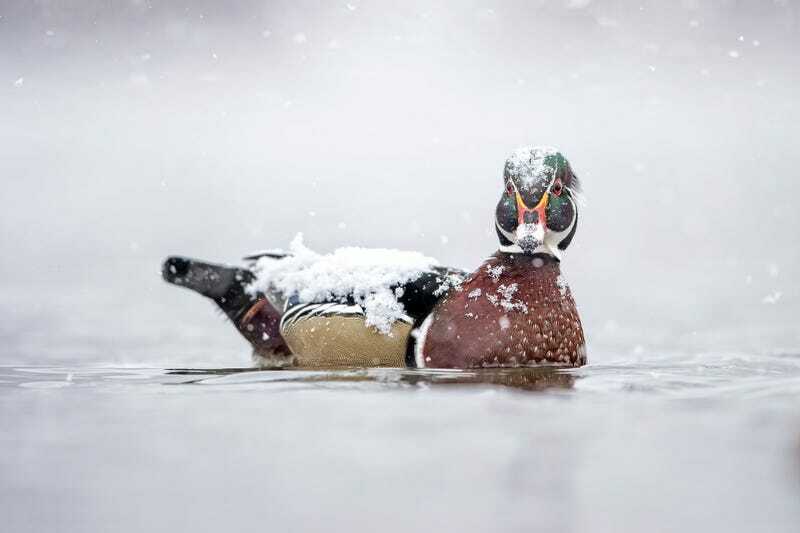 Wood ducks are strange-looking creatures that you might find near water in forests. Females sometimes lay eggs in one another’s nests, according to Audubon. It was one of the species threatened by humans in the early 20th century, whose numbers have increased recently thanks to the MBTA. 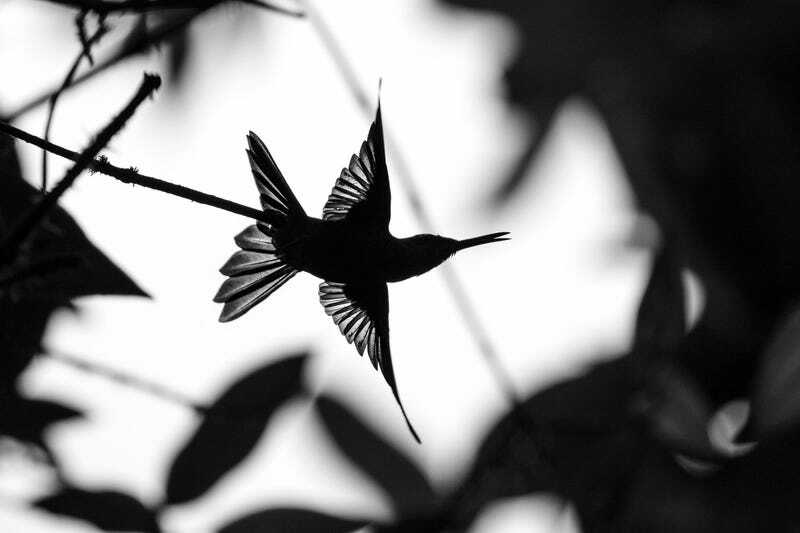 These hummingbirds are native to South America, and normally look green on top and cinnamon colored on their bellies. Not much is known about their foraging behavior or how they reproduce, according to the Cornell Lab of Ornithology—but one time, scientists observed two of these birds getting into an hours-long fight in the rain. Recently, the world watched in horror as a bald eagle brought a cat corpse to its nest for its young to feast on. 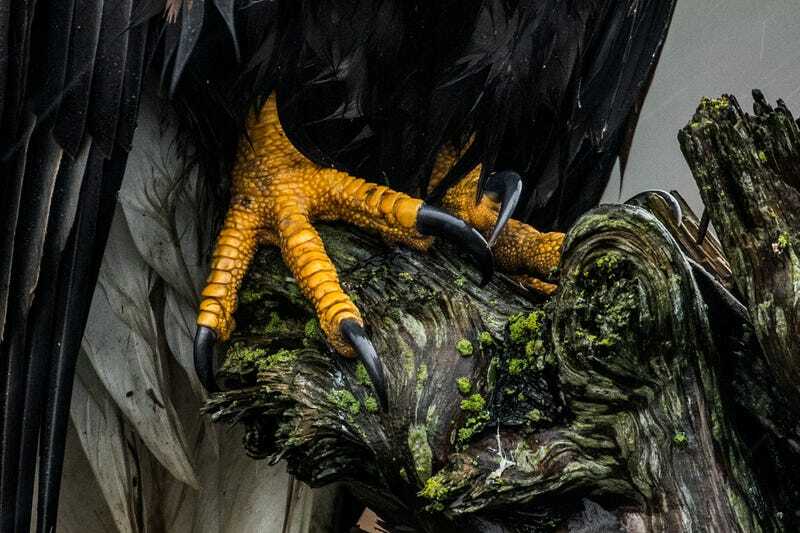 This photo showcases just how deadly these birds of prey can be.